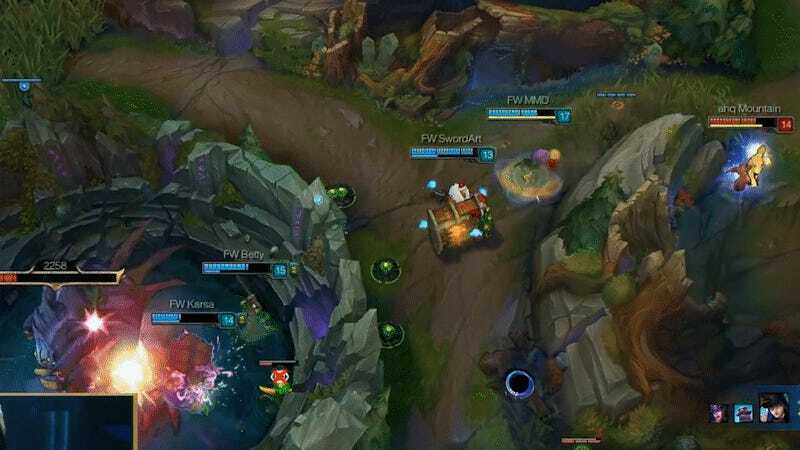 Securing a Baron kill can often swing a game of League of Legends in either team’s favor. In today’s matches in the League Master Series in Taiwan, ahq e-Sports’ jungle player made a flashy play to take the advantage for himself. In a best-of-three against Flash Wolves, ahq had lost their mid player and were trying to contest Baron Nashor, the large purple beast that grants a boost in power to whatever team manages to take it down. Waiting patiently in the bushes, jungle player Hsue “Mountain” Chao-Hong waited until the most opportune moment to strike. 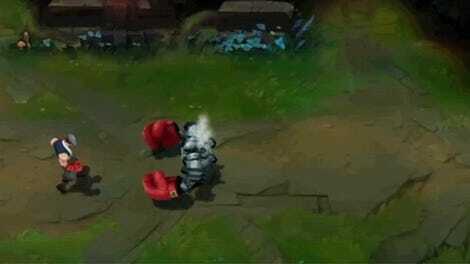 Taking advantage of Lee Sin’s mobility options and his Smite spell, Hsue zipped in and stole the Baron for his team. Lee Sin is a very mobile champion, as he can both dash to enemies using his Q ability and to allies or wards using his W. Combining that with Flash, a universal spell that allows players to teleport a short distance, Hsue was able to dash in from afar, before Flash Wolves’ jungle player was able to use their own Smite to secure the Baron kill. Ahq would go on to lose the game to Flash Wolves, and the series closed out 2-1 in Flash Wolves’ favor. LMS matches are wrapped up for the day, but Europe and North America battle on in week four of the summer split throughout the weekend on the EU and NA LCS channels.